Andrea to her mother: Did you ever want a husband? Mabel to her daughter: I've had two or three but they weren't mine. Poor Betta just couldn't catch a break from the men who seemed to be attracted to her. She jumped out the fire into the pits of hell. I have no words for Sissy and Carlos. Calliope's story touched me in a way I didn't expect. It made me question how much I'd be willing to give up for love. While I commend Calliope for choosing to put her needs to the side for the sake of her marriage, I felt as if she got the short end of the stick. 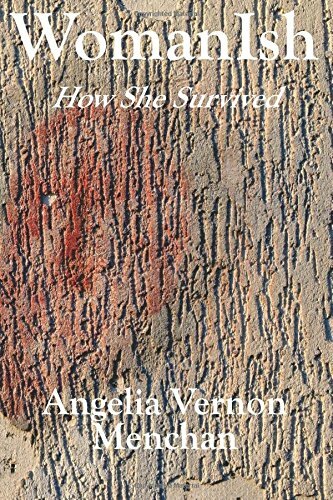 From Kenya, who assumed she needed more than her husband could offer, to the woman who justified being a man's mistress because she had him first, Angelia managed to keep me interested from the beginning to the end. All-in-all, I give Womanish 4.5 pages only because of a few editing issues I found (think 4.5 stars). I'd advice all women to read this book, young and old. Angelia is ministering without preaching, teaching without badgering, and giving you a lesson without calling you to class. Nikki-Michelle recommends this book.